TBWA/Chiat/Day has created two spots, directed by Monkmus of Hornet, for Sony's PSP. Both promote the PSP as a device that can be played outdoors. The first spot, Dustballs, has a couple of, yes, dust balls talking to each other. One is trying to convince the other he doesn't have to be stuck inside watching Carpet. he can do it outside. The second, Squirrels, has two squirrels talking to each other. One tells the other he doesn't have to be stuck inside playing Nut. he can play it outside. get it? Sony wants us to know we can use its PSP outdoors. Next. A recent survey of 2,574 US consumers commissioned by Jack Morton and conducted this year found Gen Y consumers - also known as "millennials" - respond strongly to live marketing events, which they prefer over TV and Internet advertising. While self serving, the study found 70 percent of 13 to 23 year olds say experiential marketing is extremely or very influential on their opinion of a product or brand. Sixty Five percent of 13 to 23 year olds say participating in an event would cause them to act more quickly to purchase a product. Seventy six percent of this demographic say participating in an event would make them more receptive to the brand or product's advertising. Seventy four percent of 13 to 23 year olds say participating in a live marketing experience is something they would tell others about. Whether or not Jack Morton is drumming up business for it self with this study is irrelevant. What's very relevant is the fact Gen Y, and other demos for that matter, don't respond well anymore to traditional media. The emerging field of experiential marketing - a fancy name for event marketing - appears to be gaining traction and success at reaching elusive, traditional media-averse audiences. Flipping the tell-me-what-to-do, Subservient Chicken style viral and turning the television into a sexual object, Philips UK has launched Ambilight, a site voiced by a woman cooing sexually laced phrases while images of a television and a lingerie-clad female are intertwined. The site asks visitors to answer four questions about themselves in a manner so non-threatening that before you know it, you've told Philips your age, income, email address and whether or not you live in the UK. The site was developed to promote Philips' Cineo flat screen televisions and along with the engaging Q & A, the site enters you in a contest to win one of the new TVs. While some will toss this off as "been there done that," there's something about this site, even though it doesn't invent anything new, that keeps one's interest. Well, if you're a guy it does. Perhaps there's a version for women floating around somewhere too. Nice work. Mennen has hooked up with Maxim to promote its Speed Stick deodorant with a series of whack videos illustrating the extreme dedication certain people have to certain sports. One guy is freakishly into ping pong and another goes nuts for air hockey. In December, we'll meet a wiffle ball freak. The videos are imbued with a nonchalant, "this is so normal" tone that seems to work. The site also has an online air hockey game and a chance to win a VIP sports weekend. As is required with anything Maxim and sports related, the site also carries the ubiquitous images of the dream girl hottie for viewing pleasure. IDG World Expo has released details of the "Syndicated Media Environment" conference track at Syndicate, scheduled to take place December 12-14, 2005 at the Hilton San Francisco. This track will discuss how new syndication and social media tools such as RSS, blogs and podcasts are being applied by old and new media companies. The Syndicate conference shows how syndication and social media tools such as RSS, blogs and podcasts are helping to change the way businesses do business. The "Syndicated Media Environment" track is one of four tracks and a timely topic following recent news of more and more people accessing TV shows on BitTorrent and pulling the programs down as an RSS feed. David Berlind of ZDNet explained that once a TV show is digitized and loaded into BitTorrent, "not only are the broadcasters completely disintermediated from the distribution of their content, so too is their adverstising business model." We tend to agree. In an agreement between CBS and Capitol Records, a ring tone of Coldplay's "Talk," the second single from the double platinum album X&Y, will be embedded into the content of the CSI:NY episode to be broadcast Wednesday, November 30. In the episode, CSI: NY's Danny Messer is investigating a case when his cell phone rings to the tune of "Talk." We'll wait while you snicker at the real life likelihood of that. Following the scene, CBS will run promotional messages during the act break in the episode telling viewers how they can purchase and download the ringtone. While it's so easy to press 411 instead of looking for that old fashioned thing they call the Phone Book, there's always a bit of pain each month as you check your land and cell phone bills which usually contain more than a few over-priced 411 charges. A relatively new service, called 1-800-FREE411 intends to eliminate that pain and, at the same time, create a new ad medium. 1-800-FREE411 is a free 411 service that is supported by advertising. When callers dial the number, a computer voice welcomes them to 1-800-FREE411 and asks for the city, state, business or residence and attempts to get the number. If it can't, a human operator finds the number. While the number is being found, which, of course, doesn't take nine seconds, a nine second ad plays giving the caller the choice to respond to the ad or simply get the number they wanted in the first place. Advertisers pay for ads only when callers "dial through" in response to the ad. While this song has been out for a while, it's yet another shining example of consumer created brand love. 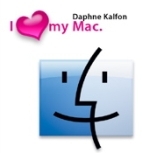 After discovering Apple's GarageBand, Daphna Kalfon created a song called I Love My Mac. Similar to George Master's iPod commercial, it expresses a deep appreciation of a product that people love. Not to be outdone by Mac lovers, a Windows lover has created a song based on the Windows start up sound and other system sounds. Not every brand can generate this sort of appreciation and creativity but as Seth Godin has always said, create a great product first and all else will follow. Steve Rubel reports Google is gearing up readying a fierce fight for classified ad dollars as evidenced by a job posting the company placed on HotJobs seeking a Classified Vertical Markets Director who would be given responsibility to "develop and execute on a strategy for driving ad sales with all advertisers in the Classifieds category on a national/international level, working with all sales channels and resources (DSO, ISO, Online)." With the launch of Google Base, a tool that allows anyone to add anything to Google's database, the move into the classified space is a no brainer. While it might take a while to ween people from the likes of Craig's List and newspaper classified placements, there's no doubt, a serious dent will be made by Google in this space. Rubel also reports Microsoft isn't going to let Google have all the fun. The ad industry is all a twitter about recent rulings by the Children's Advertising Review Board reports Ad Age. CARU, a division of the self-regulatory group National Advertising Review Council, has been battling Kraft over a Lunchables Chicken Shake-Ups ad which CARU claimed did not properly represent four out of the five food groups as required by the group's guidelines. Kraft revised the ads but said forcing advertisers to show all required food groups might cause advertisers to "depict an overabundance of foods." Advertising attorney Douglas Wood told Ad Age CARU is overstepping its bounds by making the wrong way, saying, "Doing so [make policy changes in advertising practices] through cases rather than rule-making is a very dangerous road. By using a case to announce a broad reaching rule, some will argue that CARU has eliminated the deliberative process and engaged in rule-making more by fiat than fairness. Without doubt, this will further fuel the debate that CARU has become too aggressive."